These two sites are adjacent to each other but not connected financially. 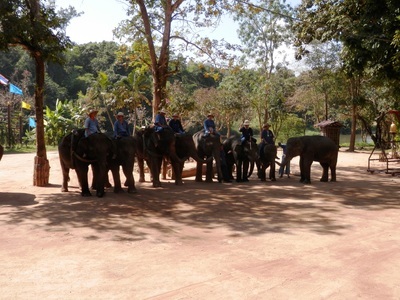 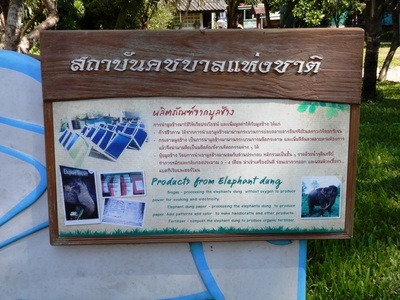 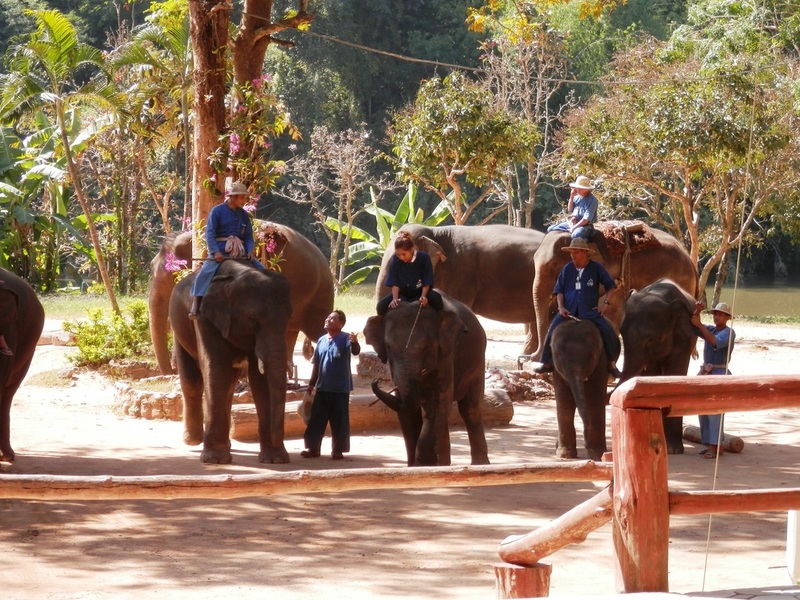 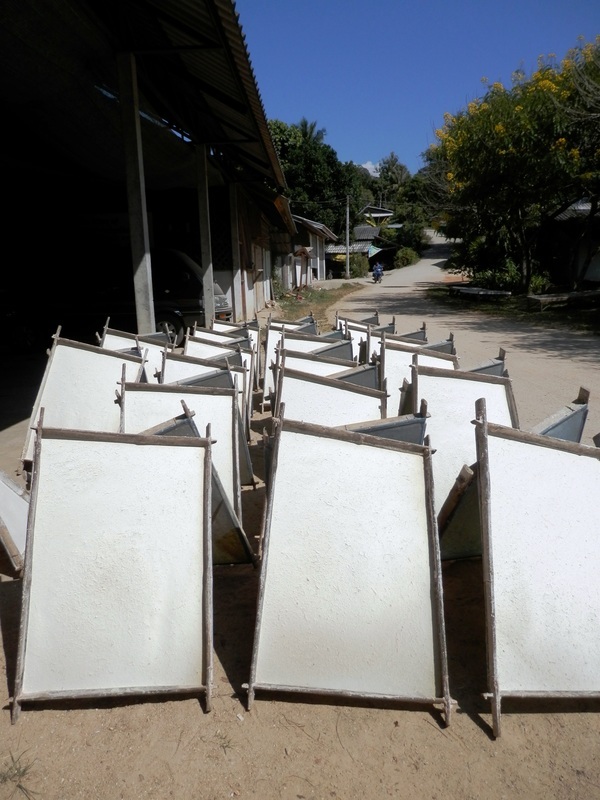 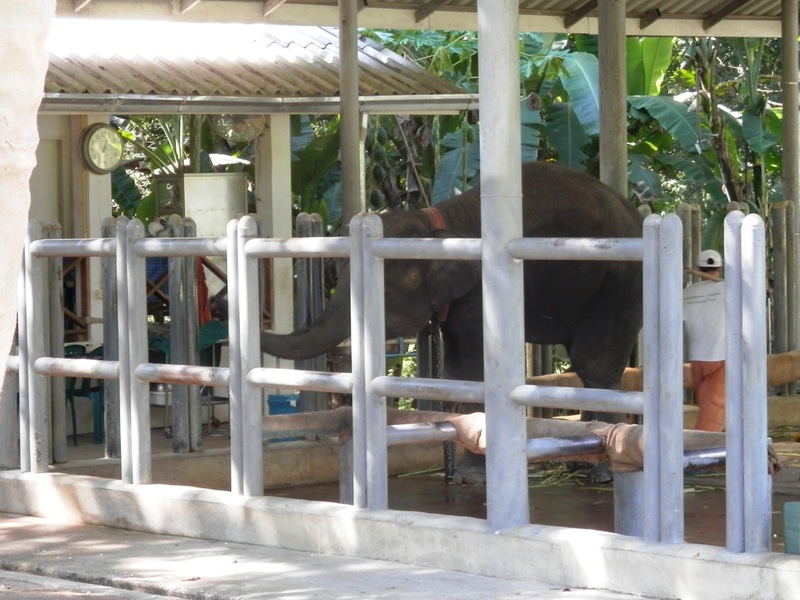 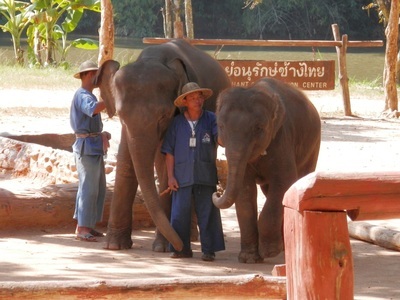 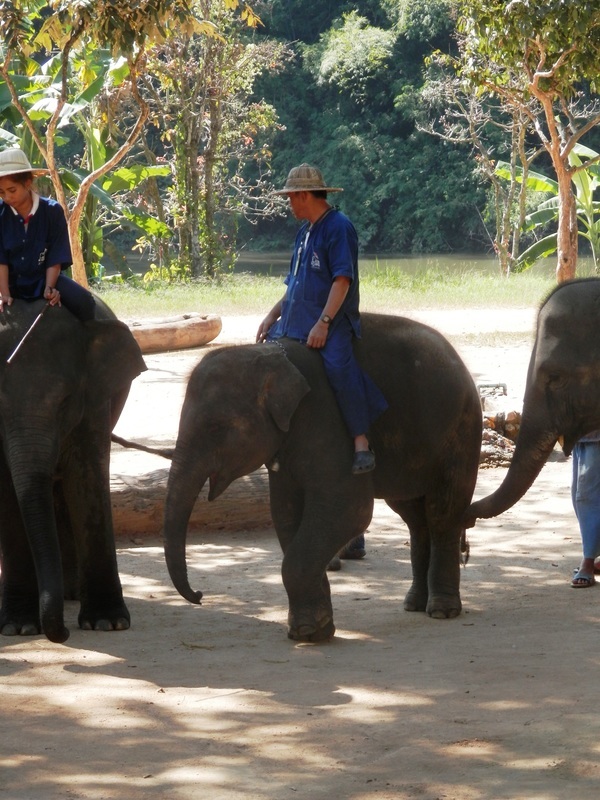 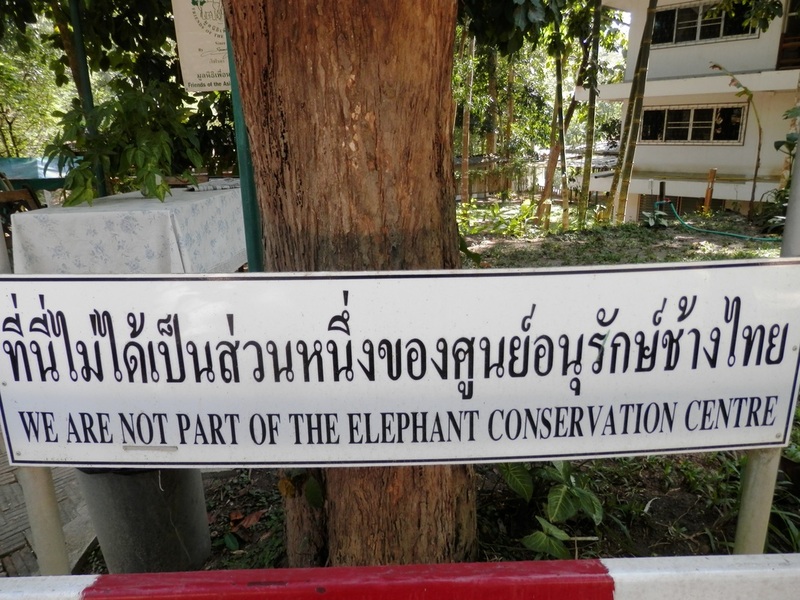 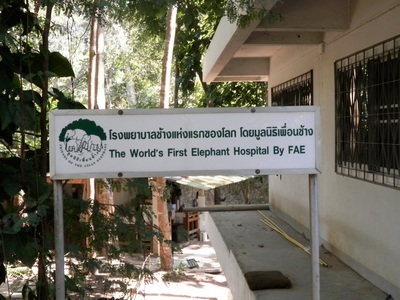 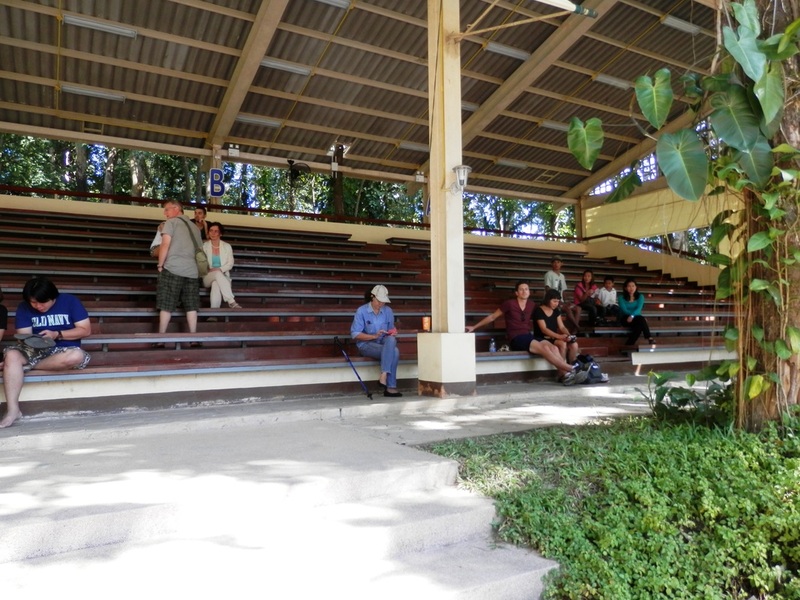 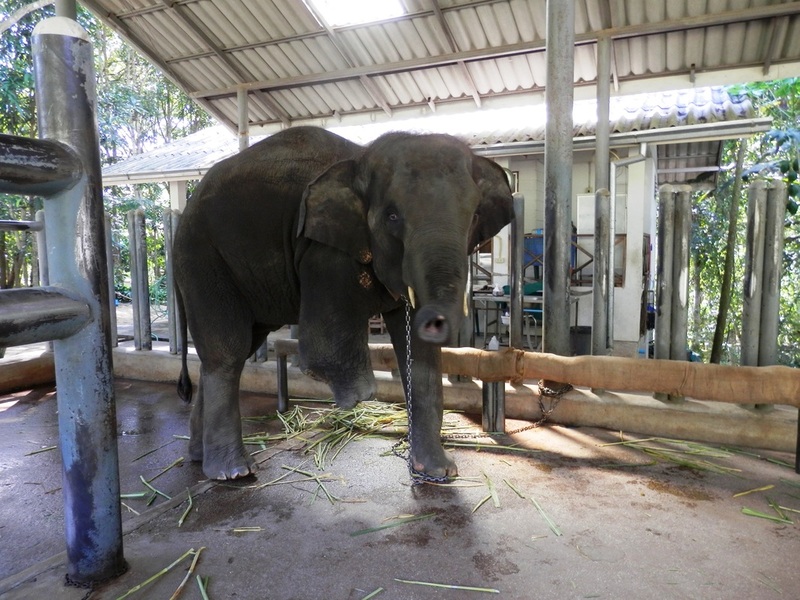 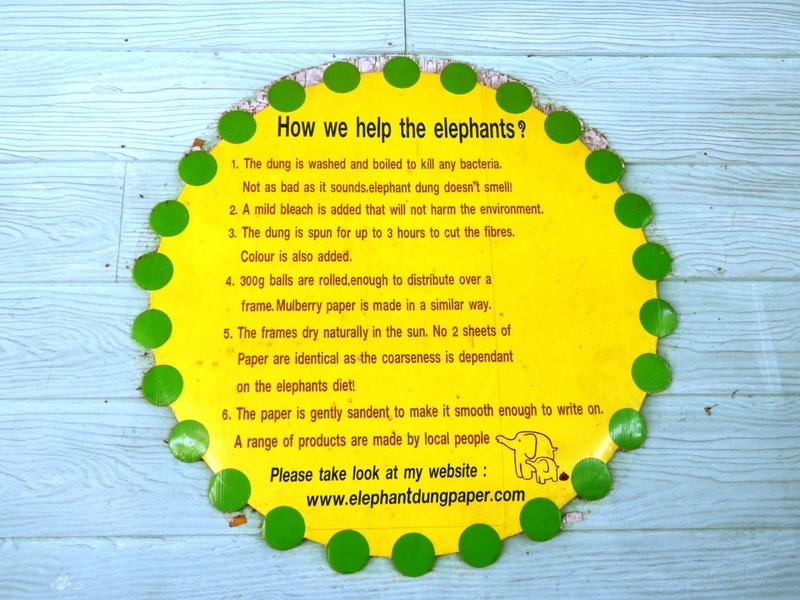 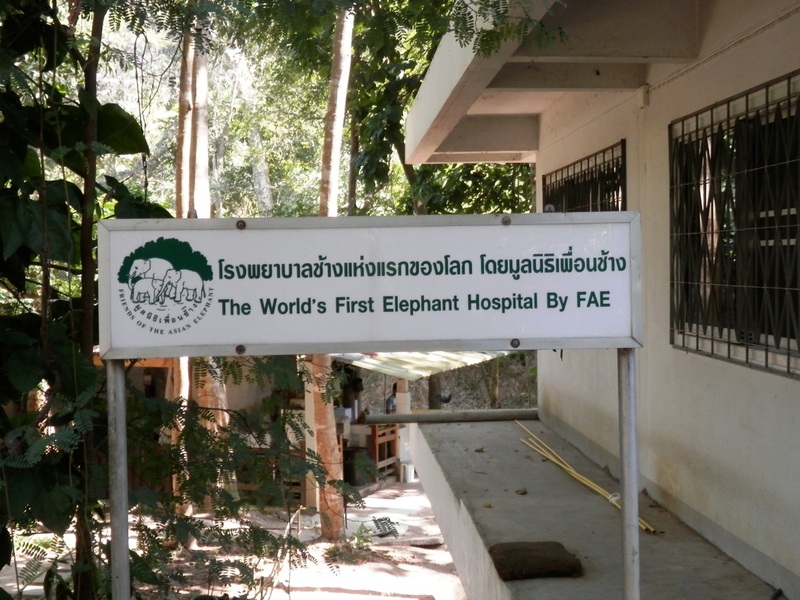 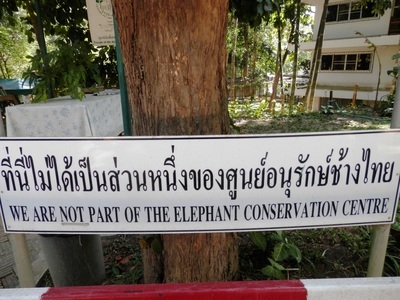 The Conservation Center would like you to donate to their "hospital" so they are not forthcoming about the fact that they are not THE "Elephant Hospital". The way AlteCocker finally found her way was by saying that she wanted to see "Mosha". 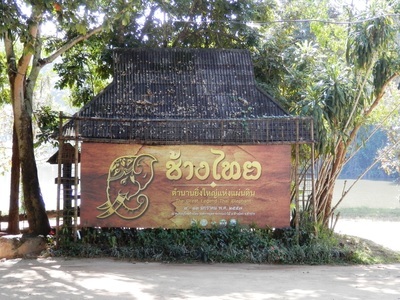 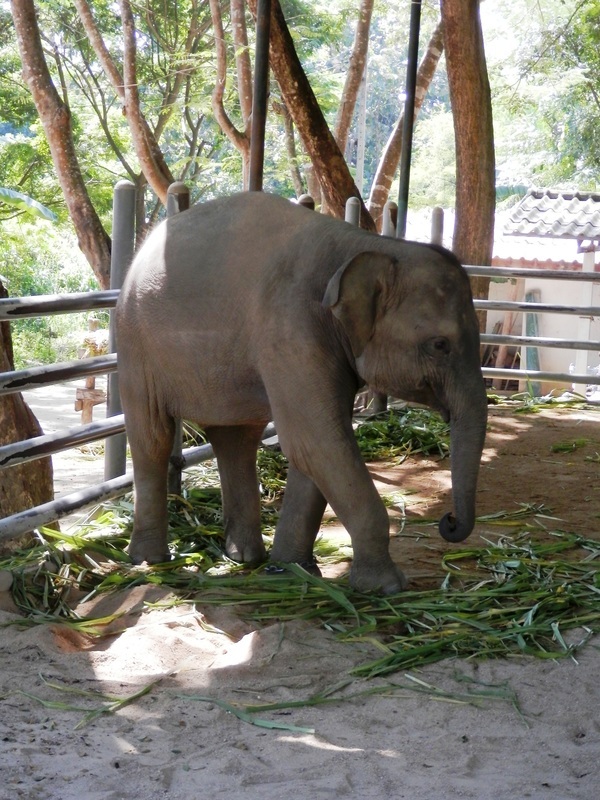 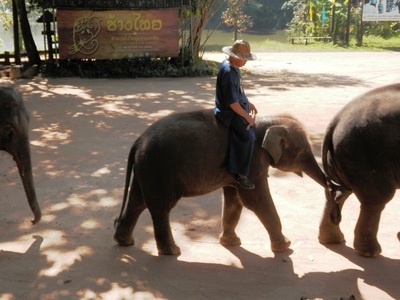 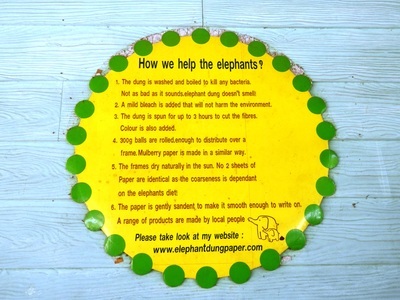 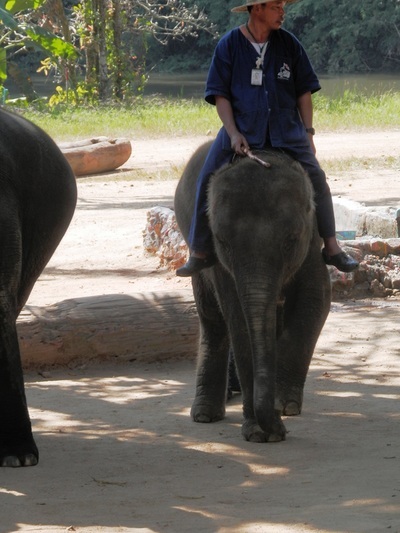 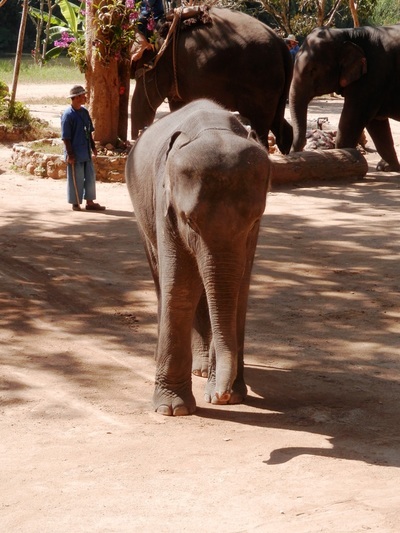 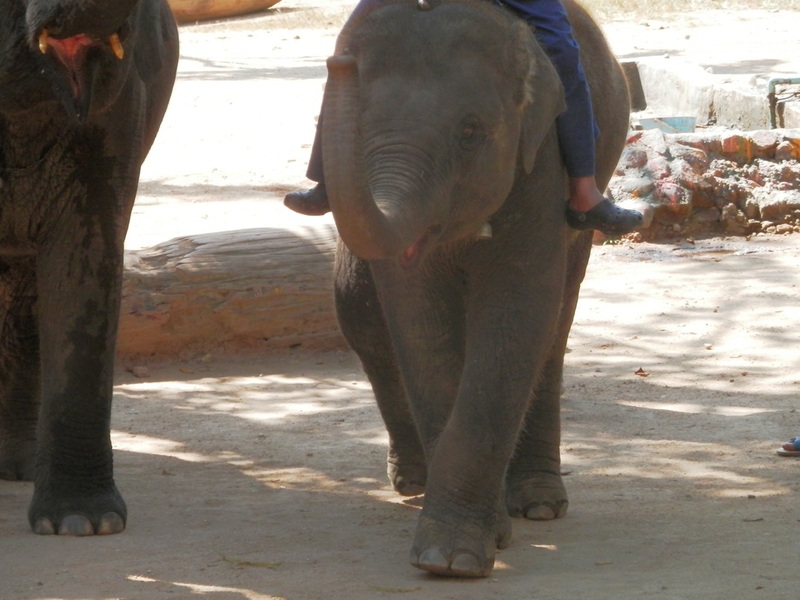 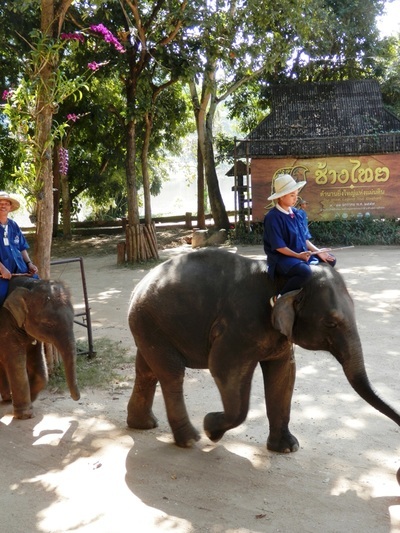 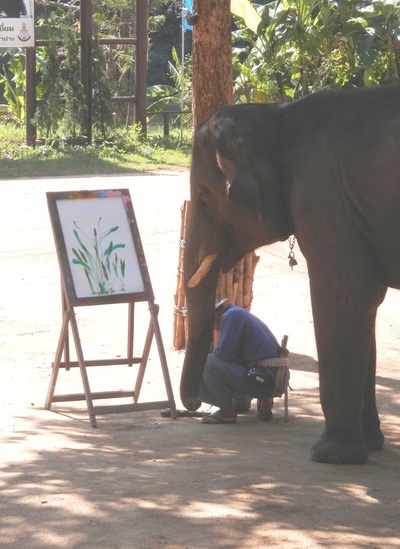 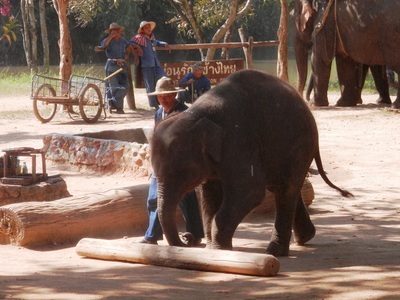 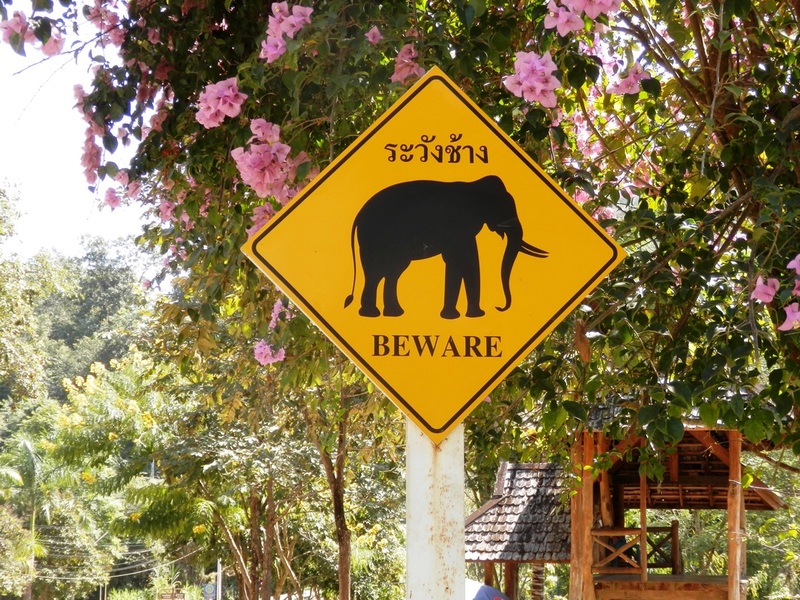 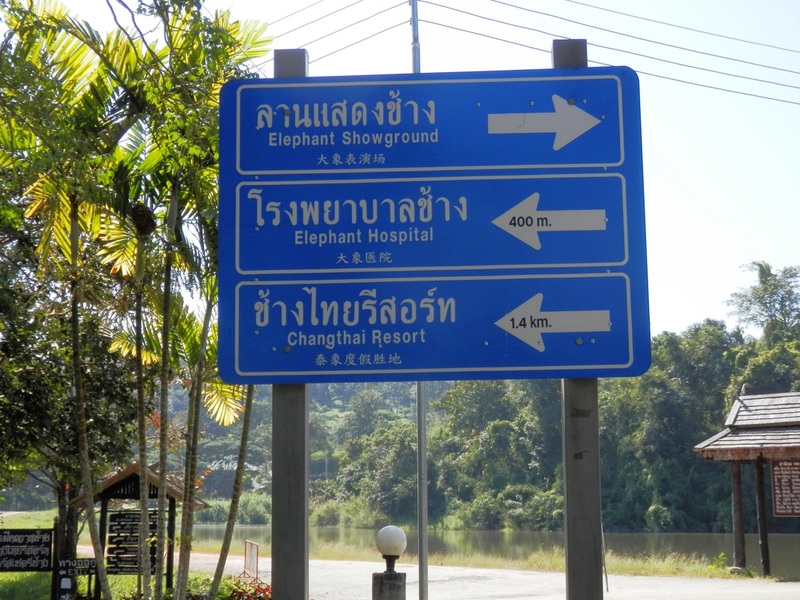 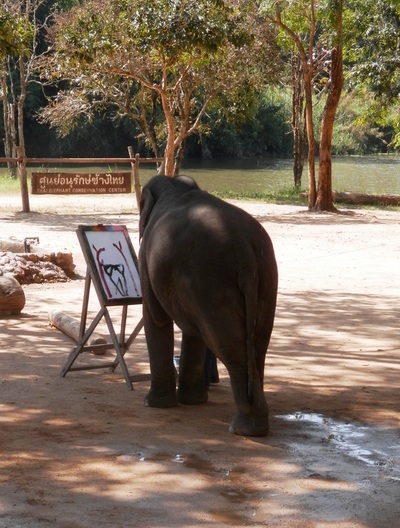 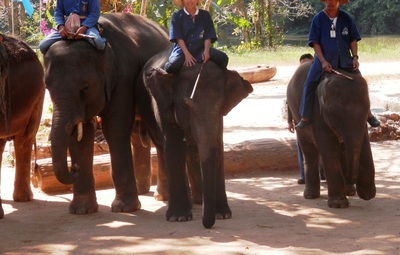 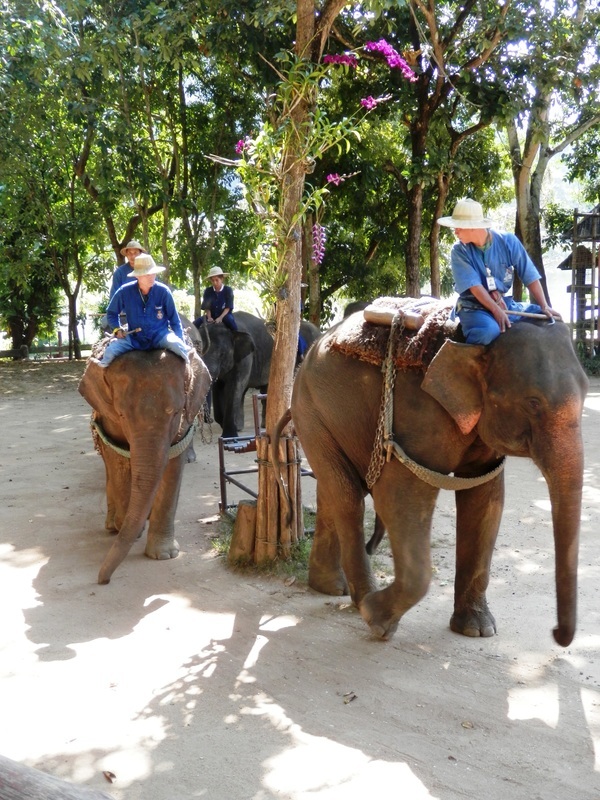 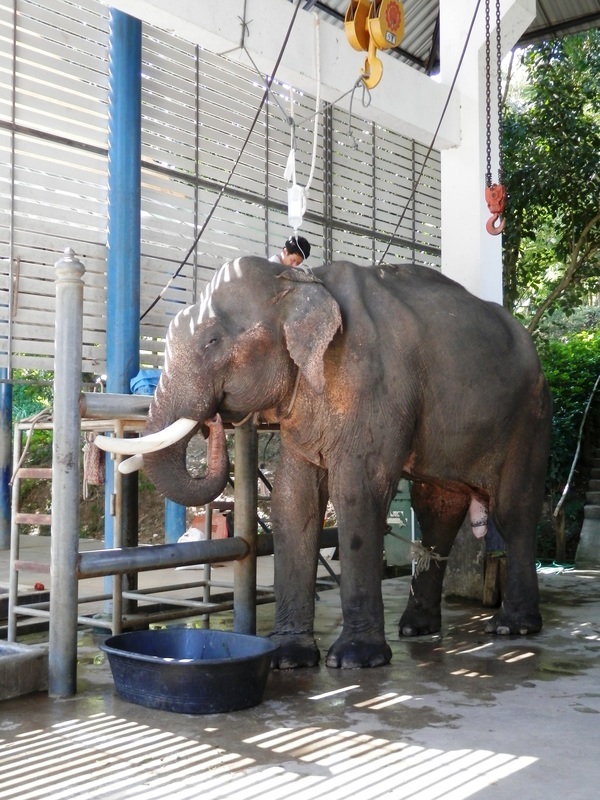 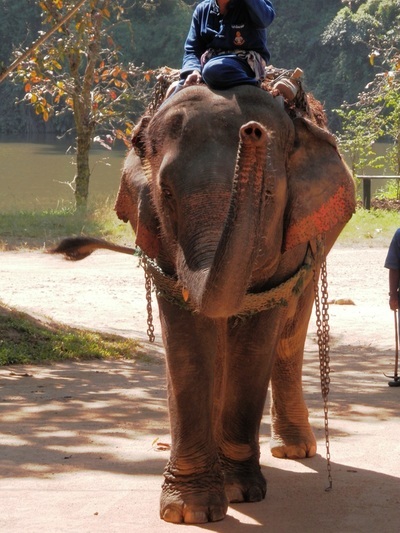 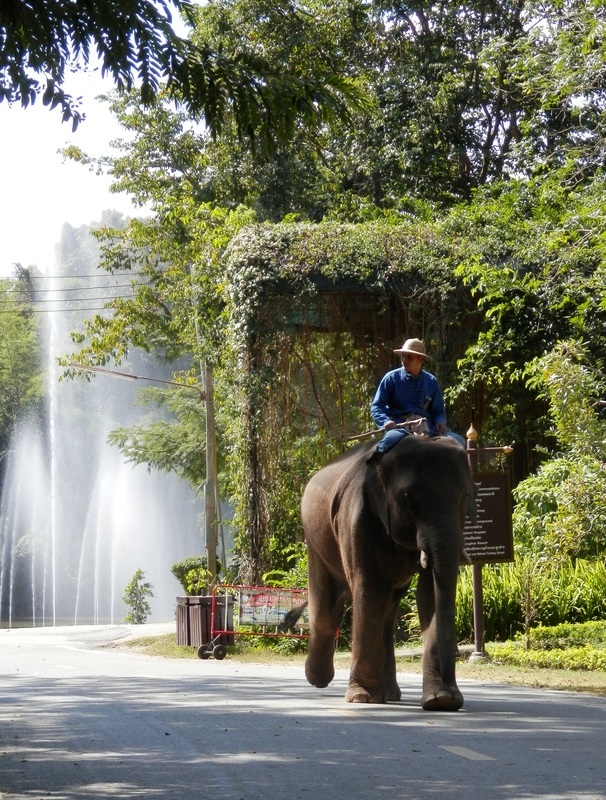 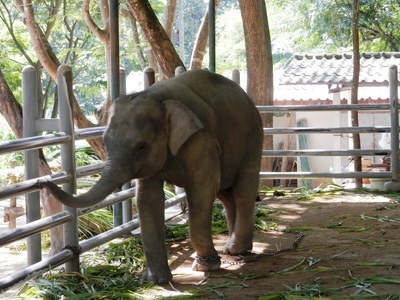 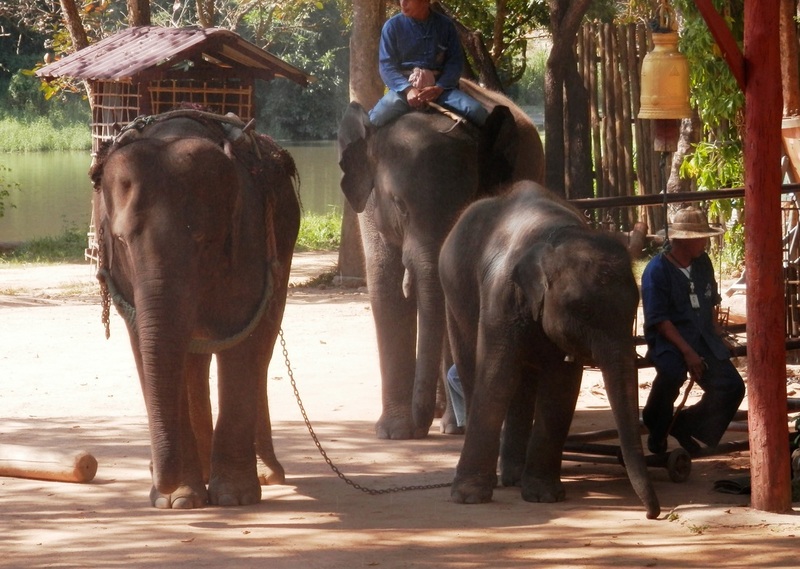 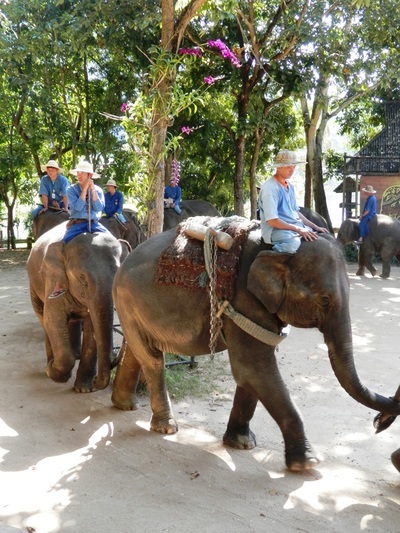 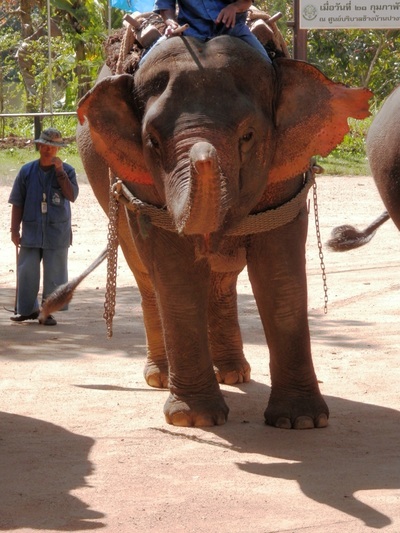 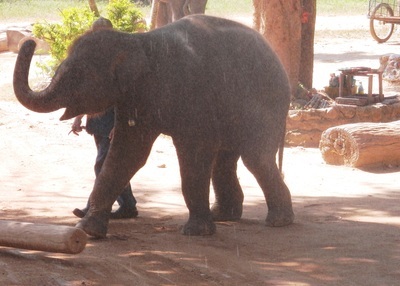 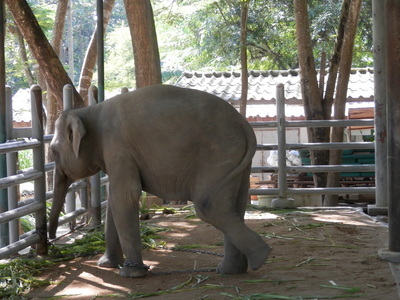 Mosha is perhaps the most famous elephant in Thailand. 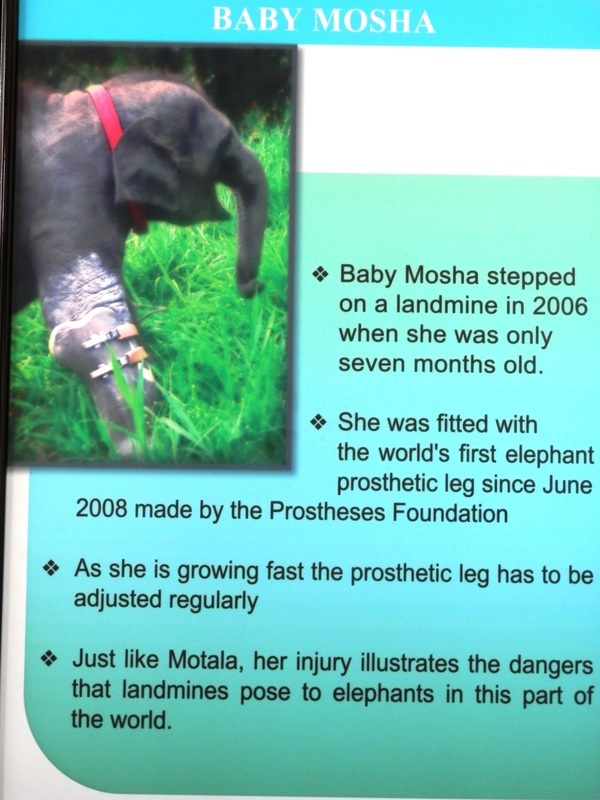 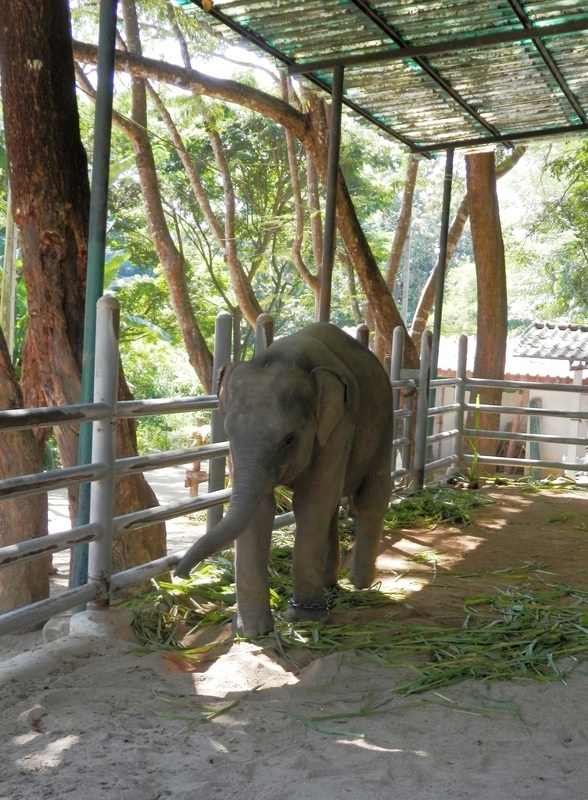 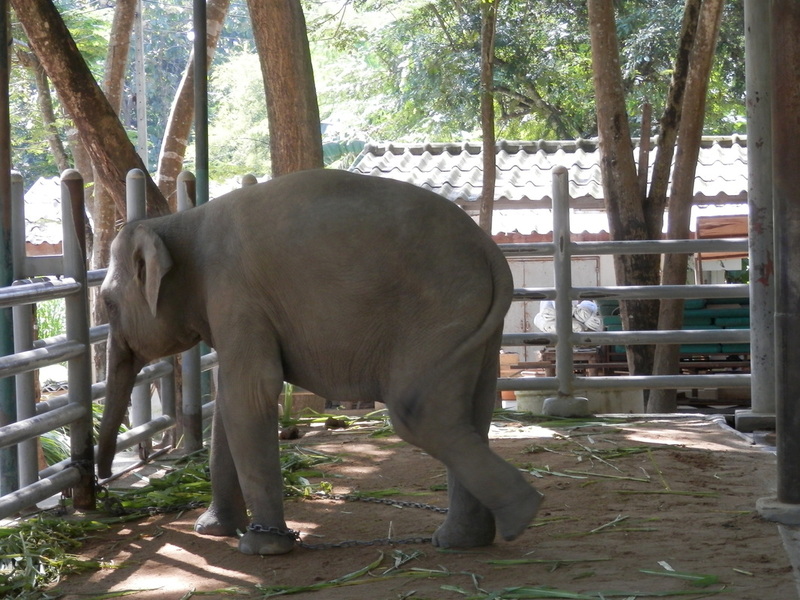 When she was a baby, she stepped on a landmine and lost part of a leg. 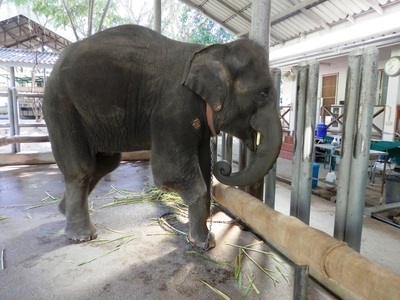 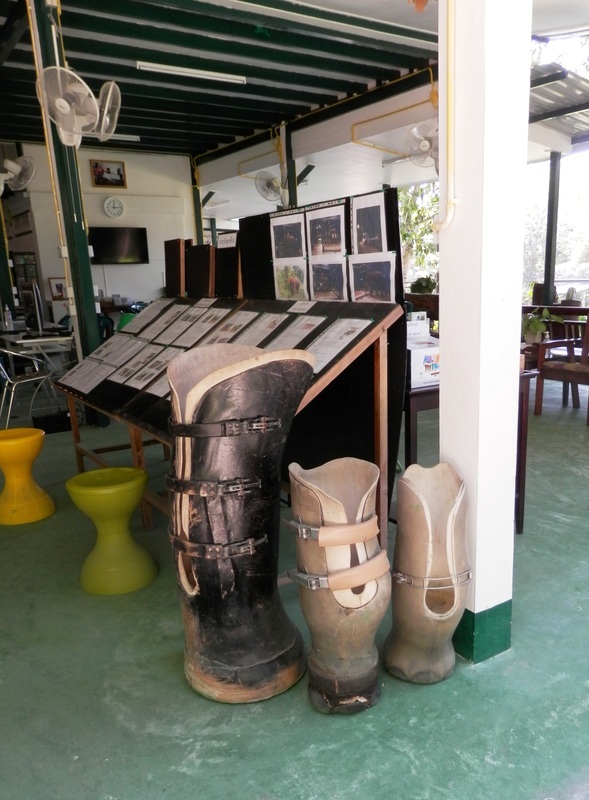 The hospital has fitted her with a prosthesis which she wears some of the time. 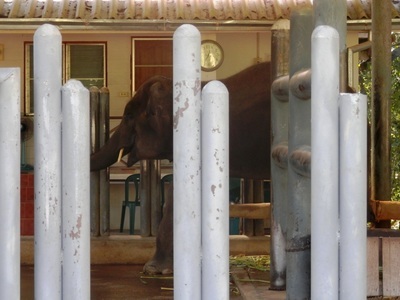 No, AlteCocker did not get in the cage with Mosha. 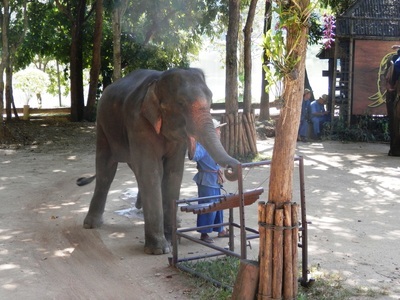 Those photos were taken by her keeper who was nice enough to snap them for me.